skifflebits wrote: Yeah, that's simply fab! skifflebits wrote: I'm afraid the image links don't seem to be working. 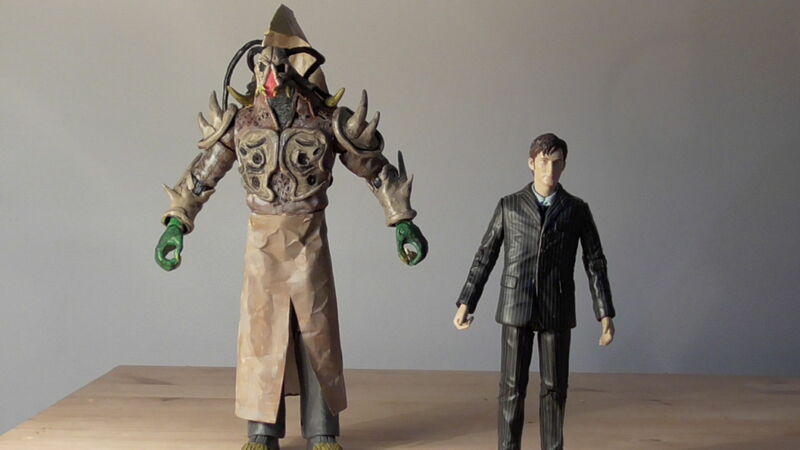 Size comparison to other Doctor Who Figures. Stands around at 7.5 inches; my video on the creation process explains more. The Unbound series was an anthology series, so while i did note down some ideas for a sequel to this specific story, it would've taken a while before getting of the ground. If this post gets a good response, maybe i'll get around to it; but i wouldn't get the popcorn just yet. Thank you.